The trails at Brown County State Park are quickly becoming a favorite for mountain bikers throughout the Midwest. The flowing trail system has something for every level from the introductory Pine Loop trail to the double-black diamond Schooner Trace. 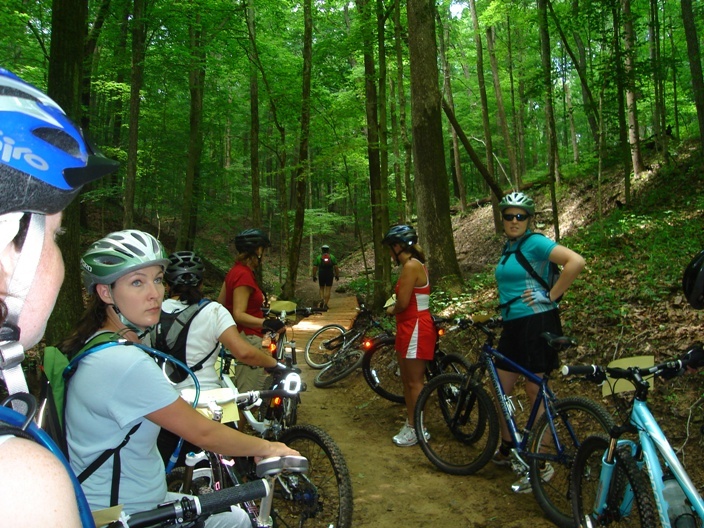 With over twenty miles of beautiful single track, it is a prime location for the annual Midwest Women's Mountain Bike Clinic. The 2009 clinic, held on Saturday, June 12, had record attendance from participants throughout the Midwest. For the first time ever, registration reached its maximum of 50 participants and had to be closed over a week before the clinic. Participants and volunteers came from surrounding states and even as far as Washington State and Florida! 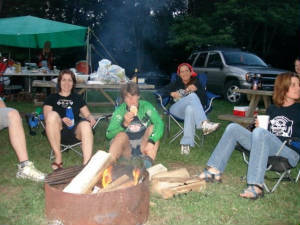 After "the great deluge of '08", participants in 2009 were greeted with much better weather and fantastic trails. Several groups arrived Friday night to camp and got their first taste of the phenomenal trail system as they rode the Limekiln trail from the campground. This section of trail seems to magically flow downhill in both directions and gave the riders a small sample of what was to come. Saturday morning participants and volunteers mingled over a continental breakfast of yogurt, fresh fruit, bagels, coffee and more. At registration, participants received a complimentary "goodie bag" filled with gifts, coupons and information from our sponsors. 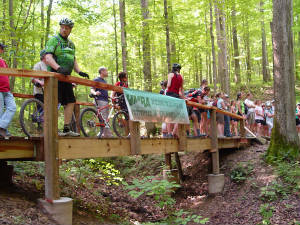 The clinic began with the grand opening of the introductory Pine Loop trail. This brand new 1.2 mile section of trail flows through a beautiful pine forest and was built with money from an RTP Grant awarded to the Hoosier Mountain Bike Association in 2006. Participants and volunteers were then led on a brief tour of the trail as part of the Trail Education class. 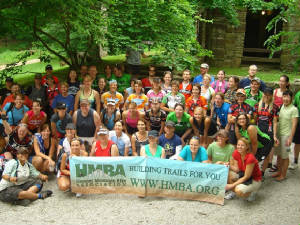 This class teaches participants about trail advocacy, safety and the IMBA Rules of the Trail. "I feel that trail education is an important part of mountain biking and maintaining the trails we all love to enjoy! It was helpful to hear about what we should and should not do on the trail." "I believe that most riders want to help maintain the trails and educating them on how they can help (not riding on muddy trails, trail maintenance days, etc) gives them the tools they need to help where they can." "What was really awesome was hearing Alex go into detail about WHY trails are built the way they are. SO INTERESTING. And then it was nice that he made it clear that anyone can volunteer anytime on trail work and they will find something for you to do. That was cool and very inviting." After the Grand Opening and Trail Education Class, participants and volunteers headed back to the shelter to pick up their bikes and get ready to ride. Groups were split by skill level ranging from the first-time mountain biker to the advanced rider. Each group made their way onto the trails to work on skills such as cornering, climbing and descending, shifting and more. Participants learned how to navigate natural trail features such as creek crossings, switchbacks, rocks and roots as well as man-made rock gardens and log crossings. 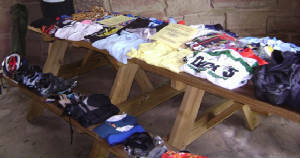 Instructors from all over the country volunteered their time to teach at the 2009 Midwest Women's Mountain Bike Clinic. Along with a great group of local volunteers, participants were able to learn from some of the best female riders including a former Olympic rider, an Xterra World Champion and a coach for Mad March Racing. Check out our list of instructors for 2009! After spending several hours working on their skills, the groups once again joined together at the Lower Shelter. The clinic wasn't over just because the riding ended. Once back at the shelter, participants were met with huge Subway sandwiches along with plenty of chips, snacks and more fresh fruit. Items were given away in a raffle and the ladies were finally able to dive into all the free items donated for the Naked Lady Party! 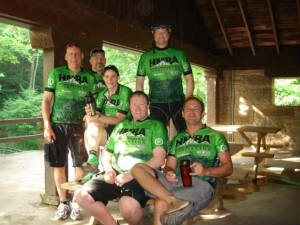 The day ended with a cookout sponsored by the Hoosier Mountain Bike Association. Participants, volunteers, families and friends gathered around a fire at the Rally campsite to share stories of the day and eat hamburgers, hotdogs and chicken off the grill. The movie Klunkerz was shown as a final treat for the group.